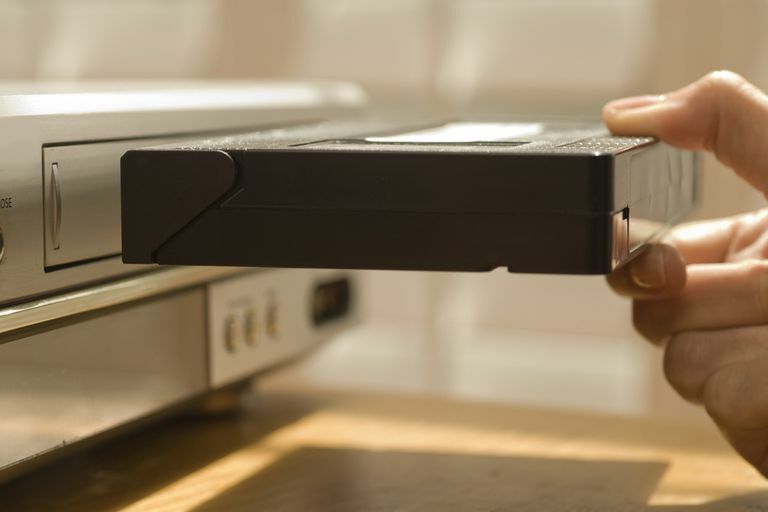 Although video recording has long since gone digital, and more video recording in the home is done on either DVD or on a DVR hard drive, there are still many VCRs in use, even though they have been officially discontinued. One type of VCR that some consumers still use is referred to as an S-VHS VCR (aka Super VHS). One of the characteristics S-VHS VCRs is that they feature a connection known as an S-Video connection (shown in the photo attached to this article). As a result, it has been commonplace to assume that S-Video and S-VHS are just two terms that mean, or refer, to the same thing. However, that is not the case. How S-Video and S-VHS Are Different. Technically, S-video and S-VHS are not the same. S-VHS (also known as Super-VHS) is an analog videotape recording format based on the same technology as standard VHS, while S-Video refers to a method of analog video signal transfer that keeps the color and B/W portions of the video signal separated until it reaches a video display device (such as a TV or video projector) or another component, such as another S-VHS VCR, DVD Recorder, or DVR for recording. S-Video signals are transferred using a 4-pin video connection and cable (refer to photo at the top of this article) that is different from the traditional ​RCA-type cable and connection used on standard VCRs and many other devices. S-VHS is an "expansion" of VHS in which more picture detail (resolution) is recorded via increased bandwidth used for recording the video signal. As a result, S-VHS can record and output up to 400 lines of resolution, whereas standard VHS yields 240-250 lines of resolution. S-VHS recordings cannot be played on a standard VHS VCR unless the standard VHS VCR has a feature known as "Quasi-S-VHS Playback". What this means is that a standard VHS VCR with this feature can play back S-VHS tapes. However, there is a catch. The playback of S-VHS recordings on a VHS VCR with Quasi-S-VHS playback capability will display the recorded content in 240-250 lines of resolution (sort of like downscaling). In other words, to get the full playback resolution of S-VHS recordings, they must be played on an S-VHS VCR. S-VHS VCRs have both standard and S-Video connections. Although S-VHS information can be passed through standard video connections, S-Video connections can take advantage of the increased image quality of S-VHS. In S-Video, the B/W and Color parts of the video signal are transferred through separate pins within a single cable connector. This provides better color consistency and edge quality when the image is displayed on a television or recorded on a DVD recorder or DVR with S-Video inputs, or an S-VHS VCR, which always has S-Video inputs. Although S-VHS VCRs also provide standard RCA-type Composite video connections, if you using those connections the color and B/W parts of the signal are combined during transfer. This results in more color bleeding and less contrast range than when using the S-Video connection option. In other words, to get the maximum benefit of S-VHS recording and playback, it is best to use S-video connections. The reason that S-VHS and S-video are associated with each other is that the first appearance of S-video connections was on S-VHS VCRs. S-VHS VCRs aren't the only place you may find S-Video connections. DVD players (older models), Hi8, Digital8, and MiniDV camcorders typically have S-video connections, as well as some digital cable boxes and satellite boxes. Also, many TVs made from the mid-1980s to about 2010 also have S-video connections, and, you may still find them on some video projectors. However, you will not find S-video connections on standard VCRs. The reason that standard VHS VCRs never had S-Video connections, is that it is felt by manufacturers that the extra cost really didn't yield enough benefit to standard VHS playback or recording to make it worth it for the consumer. Although standard VHS recordings are not as high a resolution as S-VHS recordings, playing standard VHS tapes on an S-VHS VCR with S-video connections may give you a slightly better result in terms of color consistency and edge sharpness, but not in resolution. This may be visible on SP (Standard Play) recordings, but since the quality is so poor on SLP/EP (Super Long Play/Extended Speed) recordings, to begin with, S-Video connections may not make any visible improvement on the playback of those recordings. Besides resolution, another difference between S-VHS and standard VHS is that the tape formulation is slightly different. You can use blank S-VHS tape in a standard VHS VCR for recording, but the result will be a standard VHS quality recording. Also, if you use a standard VHS tape to record in an S-VHS VCR, the result will also be a standard VHS quality recording. However, there is a workaround that will allow you to "convert" a standard VHS tape into an "S-VHS" tape. This will allow an S-VHS VCR to recognize the tape as an S-VHS tape, but since the tape formulation is different, the recording made using the tape, although yielding better results than a standard VHS recording, will still not be full S-VHS quality. Also, since the tape now has an "S-VHS" recording, it will no longer be playable on a standard VHS VCR unless the VCR has the Quasi-S-VHS playback feature. Another workaround is Super VHS-ET (Super VHS Expansion Technology). This feature appeared on select JVC VCRs in the 1998-2000 time period and allows S-VHS recording on standard VHS tape without modification. However, the recordings are limited to the SP recording speed and once recorded, although playable on the VCR that made the recording, the tapes were not playable on all S-VHS or VHS VCRs with the Quasi-S-VHS playback feature. However, Super VHS-ET VCRs did provide S-Video connections to take advantage of better-recorded video quality. If you happen to run across an S-VHS movie release (definitely a rarity), keep in mind that you can only play it in an S-VHS VCR. It will not be playable in a standard VHS VCR unless it has Quasi-S-VHS playback capability as mentioned previously. With HD and 4K Ultra HD TVs, HDMI has been implemented as the standard for connecting most home theater components together. This means that analog video formats such as VHS and S-VHS have become less important and new VHS and S-VHS VCRs are longer no being made, but you may find some remaining stock, including, DVD recorder/VHS VCR/DVD Player/VHS VCR combos via third parties. As a result of decreased use, S-Video connectors have been removed from the majority of TVs, video projectors, and home theater receivers as a connection option.